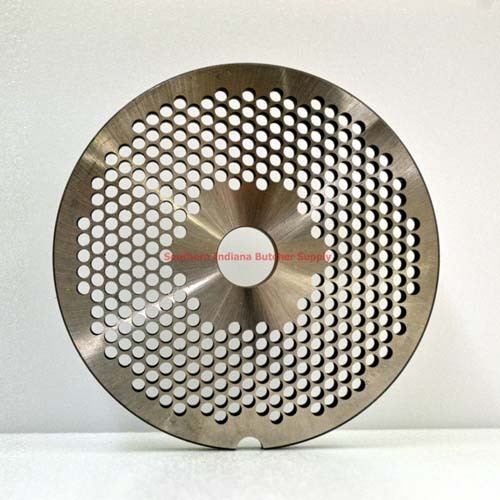 5-1/8 inch plate diameter. 4.5mm hole size. One side notch, reversible. Fits Cabela, Bass Pro, and other Chinese made meat grinders. Will not interchange with American made Enterprise style plates.